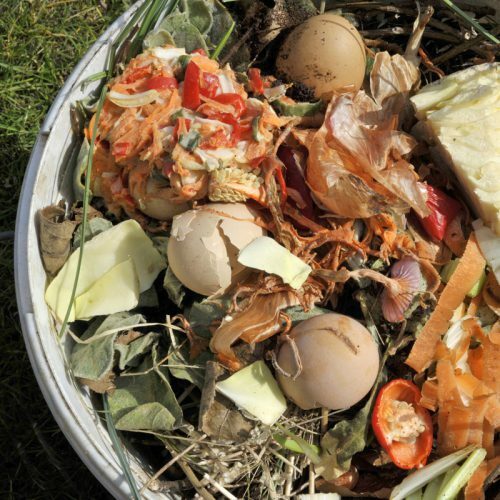 One of the biggest mistakes many gardeners don’t even know that they’re making is NOT composting. As plants grow, their soil loses nutrients. One easy and natural way to give your soil and plants the nutrients they need is composting, and it’s so easy to start – you probably have most of the materials already! Once you compost your garden, I can almost guarantee that you will be able to enjoy more fulsome plants, vegetables, and flowers. The first step would be deciding what you would like to start your compost pile in. There are many options: You can build your own bin, or purchase a one made of plastic or a metal such as steel. The type of container you choose may depend on how much space you have. If you have a larger yard and many plants to fertilize, the AeroQuick Compost Bin might be a good option for you. This bin keeps critters out and speeds up the composting process. 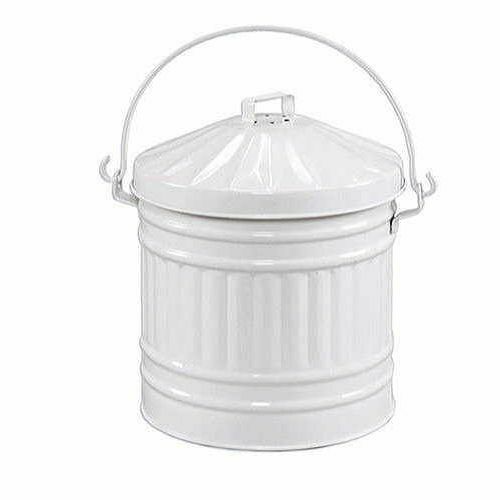 For those with a smaller yard, or if you just want to start composting on a smaller scale, this Kitchen Compost Pail is a great option! 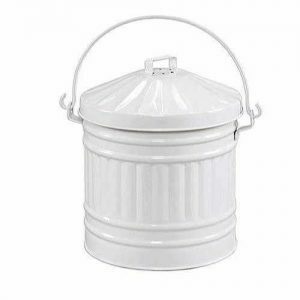 It has a 1 gallon capacity and can even be kept inside! If you do choose to use a smaller bin that is kept inside, I suggest using Charcoal Filter such as these. They will reduce odors that can be emitted from the bin as the materials compost. 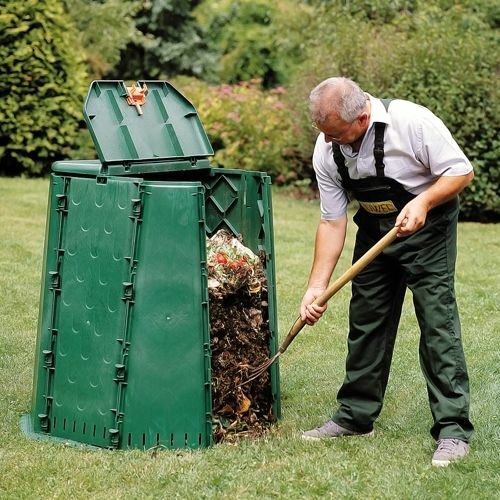 After you select your composting container, it’s time to gather your items. You will want to layer organic items such as yard/garden clippings, dry leaves, kitchen scraps (no meat, oil/grease, or dairy), shredded paper, coffee grounds, and even eggshells. The biggest step in composting is being patient! After you combine all your items, add some soil and a little water, mix it all together and wait! Over time (several months up to 1 year depending on the size) the materials will decompose and turn into “humus” – a natural plant fertilizer. You will need to mix and turn the materials every few weeks to ensure proper aeration and aid in decomposition. If you wish, you can add a Compost Booster to the pile to reduce your composting time. 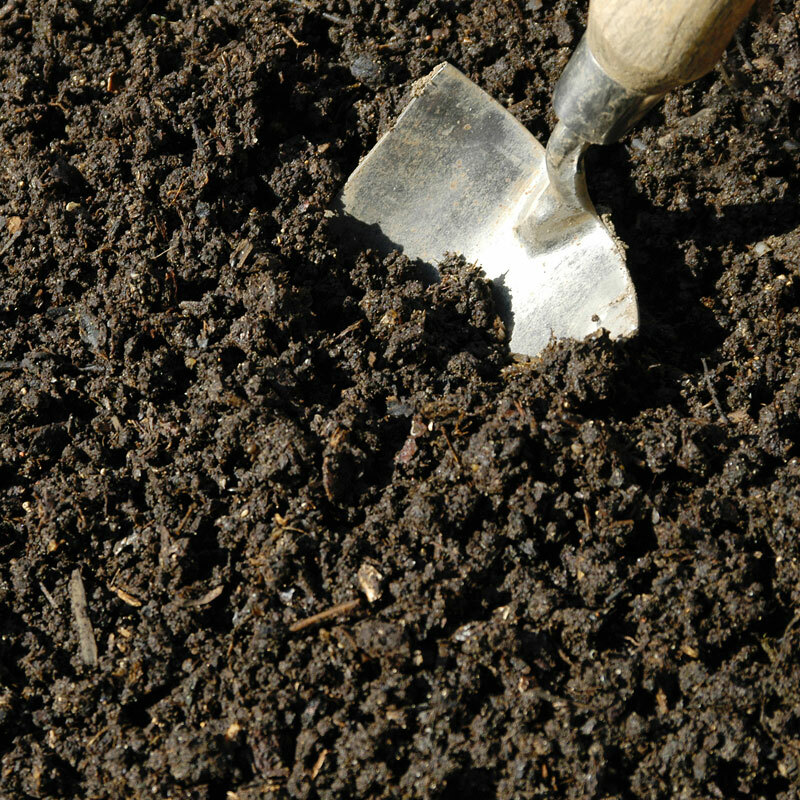 After your pile has completed composing, you can add it to your plants by mixing it with their soil. Happy Gardening! Make sure that your materials are shredded or chopped as finely/small as possibly, this will help the decomposition process. Keep your pile covered or your bin shut to keep pests out. Add manure (not from cats or dogs) this can help speed up the process. Do not add any types of: meat/bone, diseased plant materials, sawdust, or weeds that go to seed (dandelions).